But the cost of admission is much higher. For 2016, Wichita city documents report a cost per visitor of $54.71. That was down from the previous year’s cost of $55.37. 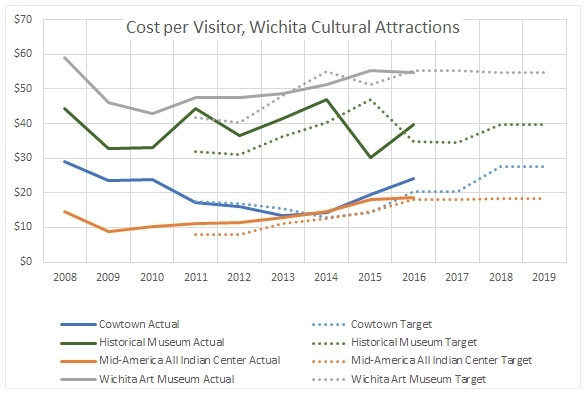 Cost per visitor, Wichita cultural attractions. Click for larger.